Home 26/11 Mumbai Terror attacks Amboli double-murder case Fast-track court India Mumbai Mumbai Photojournalist gangraped Opinion Pallavi Purkyastha special cases Is India's Fast-Track Court concept a Myth? Is India's Fast-Track Court concept a Myth? According to Times of India, the union government started the scheme in 2001 in a bid to prevent important/shocking cases from ending up at the end of the huge case queue & to cut pendency of cases. Once a case is sent to a fast-track court, it is expected to be heard on a day-to-day basis. I did a Google search. One of the results I got was - Effectiveness of India's 'Fast-Track' Courts Questioned. How effective are fast-track courts? While the intention behind the institution of fast-track court was noble, the results have been disappointing. Some of the famous fast-track court cases in India are – 26/11 Mumbai Terror Attack, Amboli double-murder case, Pallavi Purkayastha case, Shiney Ahuja case, etc. (As mentioned by TOI) Among these four cases, the only case whose judgement has been passed is the 26/11 Mumbai terror attack. Ajmal Kasab, the lone Pakistani terrorist caught alive, was sentenced to death after 17 months of the crime. Was justice served to the fullest? I guess not. The mastermind, whose plot it was, is yet to be caught. Kasab and his nine other accomplices were just acting on orders. The Amboli double-murder case is still pending. Keenan Santos (24) and Reuben Fernandez (29) were stabbed to death for protesting the harassment of a woman on October 20, 2011. The case is still on in special women’s court as it nears three years of the anniversary. A year back, Pallavi Purkayastha was murdered by security guard Sajjad Mughal. The case initially was fast-tracked but it is in a special women’s court now. These are just few of the famous cases. The Amboli case had created a lot of outrage. So did the Purkayashtha’s case. Yet, judgement is yet to be passed in these cases. How many fast-track courts are there in Mumbai? According to TOI report, there are five fast-track courts in Sewri, out of which three are functioning from the city civil and sessions court building in Kala Ghoda as the Sewri premises are hosting Mazgaon metropolitan courts since July. The report further mentions the state had recently constituted special fast-track courts with women judges and all-female staff for crimes against women. Since the Sewri fast-track court did not have any women judges, about 26 such cases were piled on special court in the city civil and sessions court. 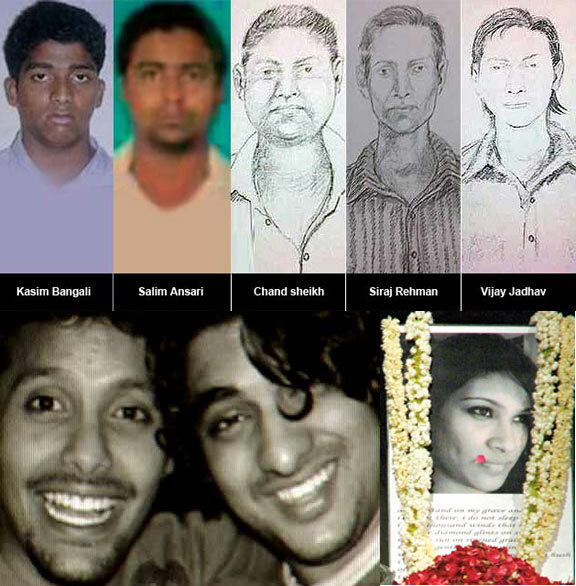 Among those are the 2011 Amboli double-murder case and Pallavi Purkayastha case. While going through the Google searches, in many of the articles I found that the fast-track courts don’t do full justice to the cases. According to a report in Voice of America, Colin Gonsalves, a senior advocate of the Supreme Court of India and the director of the New Delhi-based Human Rights Law Network, said he does not think the fast-track courts are an effective way to fix the problem. What are the fates of these cases? A fast-trial means a lot of money is involved and need of enough judges to solve the cases. With almost six lakhs cases pending, Government of India either needs to buckle up and reassess their plans or just drop the term fast-track. Secondly, you need plenty of funds to tackle the problem. The government recently allocated 80 crores for the appointment of judges. Another 2,800 crore has been set aside for setting up of court infrastructures that can be used to open fast tract courts (According to TOI). Having mentioned all these from a layman’s POV, it is in the hands of the judicial department and experts to come up with effective solutions to tackle the problem. Fast-track cases in India haven’t really been fast-tracked. There is huge gap between idea and implementation. Nobody wants to wait for 11 years to get justice (It took 11 years to release the verdict in the Jessica Lal murder case, that too after much media pressure). I spoke to one of my lawyer friends (though he is a cricket journalist now). He said one of the main reasons for judicial system failing is that just like our lazy system, our lawyers tend to delay the process. Also, they have an intention of delaying the case and getting their pockets filled to the fullest. Plus the problems of fewer judges and less fund are there. And lastly, he remembered a quote by Ram Jethmalini — Justice hurried is justice buried.